AATG Awards CeremonyCongratulations to Linda Horvath, who was selected as the 2013 recipient AATG/Intercultural Student Experiences (ISE) Language Matters Award. This award is presented annually to a high school teacher of German for creative methods, providing immersion experiences, and motivating students to speak German outside the classroom. Congratulations also go out to Gabriele Verhoeven who was selected as the 2013 AATG K-8 Outstanding German Educator. This award is given annually in recognition of innovative teaching, extraordinary talent, and exceptional leadership in the German teaching profession. Finally, Susanne Rinner, professor at the University of North Carolina at Greensboro received the AATG Friend of German Award for her outstanding support for and promotion of German and the study of German in NC. Professor Rinner organized the 2013 German Day on campus and is extremely active in the NC AATG chapter supporting other educators of German. All three were honored during the Awards Presentation at the AATG Annual Meeting on Saturday, November 23, 2013 in Orlando, Florida. 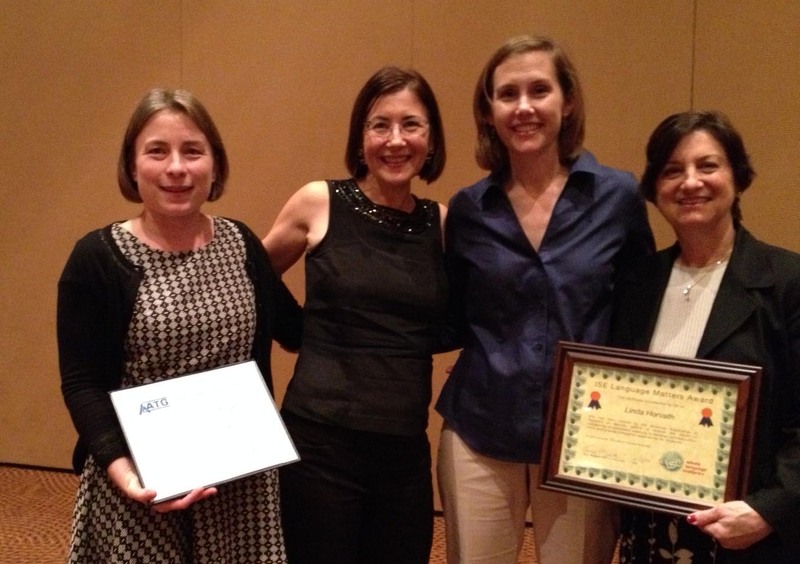 NCAATG Proposal wins STEM Articulation Grant from AATG! Congratulations to Beth Gulewich (Broughton H.S. ), Jo Garrison (Martin & Ligon Middle Schools), and Marc Reibold (NC State University)! They have been selected to receive a STEM Articulation Grant from the AATG, through funds provided by the German government’s Netzwerk Deutsch program. They have been awarded $2,500 grant to support their proposed project to develop and implement a German Language STEM curriculum and instructional materials. We look forward to hearing about your project at our fall meeting.